Rocket Matter Knowledge Base LawToolBox - Court Rule CalendaringHow to activate your free trial for your account. By activating the trial, you will have 7 days to test the feature and generate a maximum of three court deadline sets. This is a one time activation for each account. 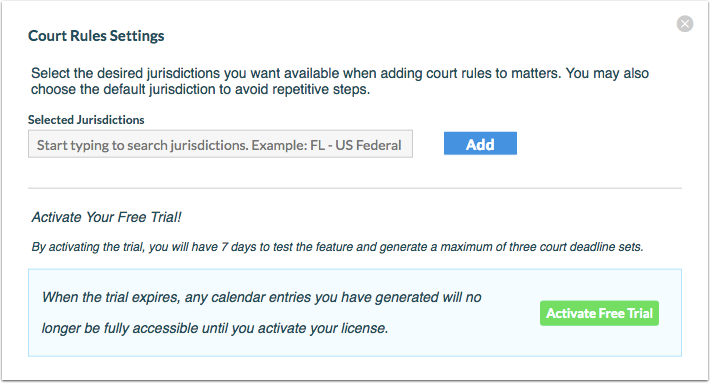 When the trial expires, any calendar entries you have generated will no longer be fully accessible until you activate your license. Prev: How to activate your LawToolBox subscription.